I first walked the Canberra Two Day Walk (CTDW) in 2003. I had recently returned from three years in the USA, where I had cheered on my husband in his first marathon. I discovered that there were plenty of people who walked marathons in the United States and I felt inspired to give one a go myself, so was looking for a suitable event in Australia. I came across a CTDW brochure for the event at the bowling alley in Tuggeranong, less than two months before the event and was immediately enthused to enter. The 30km distance requirement for my age was a little daunting but I was not deterred. How hard could it be? After all, it was much less than a marathon. Famous last words! Working full-time with a young child, I had limited opportunity to train, and I went in to my first CTDW very under-prepared, and with relatively new shoes to boot. I don’t think I had walked much further than 20km in the lead-up to the event. At the end of the day I could hardly move, and I had monstrous blisters on both feet. I didn’t know how I would be able to complete another 30km on day two. But I knew that if I didn’t finish the walk I would have endured all the pain and have nothing to show. That finisher’s medal was a powerful incentive for me! So, with bandaged feet and a pair of comfortable old shoes, I struggled through the second day of walking, with plenty of encouragement (and concern) from the other participants. Needless to say, I was not fit for work on the Monday, and needed to take a day’s leave to recover. My second CTDW was not much better, but since then I have managed more easily, and have even completed eight of the nine marathon routes, plus 10 or so other marathons along the way. Given my trials at the very first CTDW, I decided to immediately join the IML to get the IML Bronze Medal (in addition to the CTDW medal) — I felt that I deserved it! I have since walked three times at our sister IML event in Rotorua, New Zealand, but need to travel further afield if I want to earn subsequent IML awards. I’m hoping to do a bit more travel in the years to come. I’m also a very enthusiastic IVV walker, having now walked over 7,000km and completed over 400 events. This is not much when compared to some of our international walkers who have completed over 10 times my distance! I have done a number of IVV walks in the USA and have taken on their 50 states and A-Z challenges. So far I have walked in nine states and finished half of the alphabet. I just wish I had known about the IVV when I lived in the USA. Walking is a wonderful way to see a new place when travelling — and the IVV walks will often take you to some of the more interesting places that a tourist wouldn’t normally see (plus many of the main tourist spots too). I have also been fortunate to meet some wonderful IVV walkers when travelling, who have been very generous with their time. It’s much easier when you have a local guide too, rather than having to worry about following written directions! 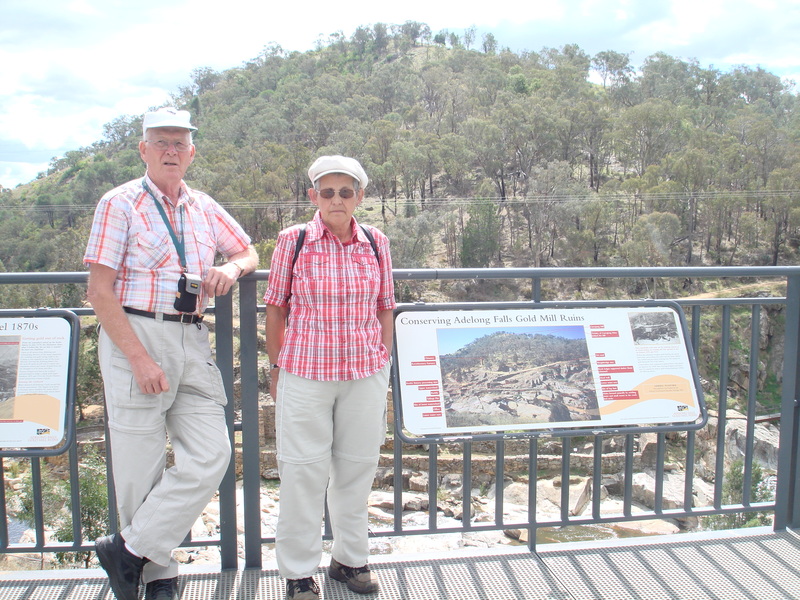 I like to reciprocate when visitors come to Canberra, and have met many interesting people during their travels here. After a couple years of participating in the CTDW I was recruited onto the committee after making a few “helpful” suggestions about the event and the old website. Over the years I have taken on increasing responsibilities, first with the website, brochure design and newsletter editor, IVV coordinator and then starting up various social media channels and coordinating a regular walk program throughout the year. This is now my 10th year on the committee and my fourth year as president. I started as a general committee member, became vice-president in 2011 and then president in 2012 when Lachlan Wilkinson inconveniently decided to move to Adelaide! One of my main goals as president has been to streamline some of the manually-intensive aspects of the Festival, and while this has resulted in some short-term pain, I am sure that the long-term gain will be worth the effort. My favourite distance to walk is 20km and I prefer nice flat or gently undulating routes. Downhills are a real killer for my knees, and I am not a fan of loose, scrambly surfaces. I enjoy walking with others but am equally happy to walk by myself, and can while away the time planning all the things I intend to do after the walk (although usually I just end up having a nice rest!). Since getting a smart phone I have discovered that podcasts are also a good way to pass the time while walking, and I particularly like listening to Conversations with Richard Fidler. I live very close to the Centenary Trail, so I am spoiled with great walking opportunities. In my ideal world I’d be doing a 10km walk every morning, but I end up spending far too much time sitting in front of a computer. The hot weather was also a big de-motivator for me, so I really need to be more committed to going out first thing before it gets too hot. 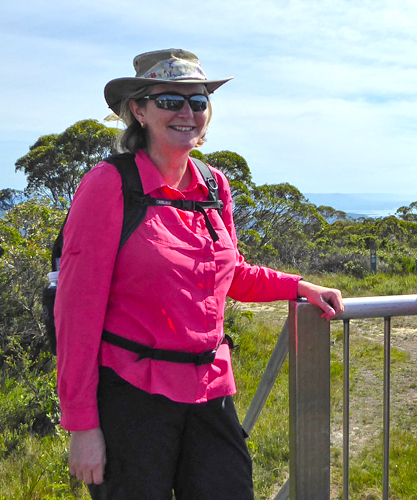 Last year I joined Walking for Pleasure, which has been a lot of fun, and have recently merged our Saturday AussieWalks into their program of walks, which now cover every day of the week except Mondays. In recent years I have also taken up running (shock, horror!) and after completing the “couch to 5k” program I can now run 5km. I don’t get to much running training, but do try to get along to my local parkrun on Saturday mornings when I don’t have an AussieWalk scheduled. I find that parkruns are also good when travelling, because there are lots of events held around Australia (and the world) and once you have registered you use the same barcode at every event — and it is free. Aside from walking, I have a few obscure hobbies, including geocaching and munzees. These activities have taken a back seat over the last year or so, but they are fun when I do make time for them. Well, that’s probably more than anyone wanted to know about me, so I’ll end here and just say that I am looking forward to catching up with all our repeat walkers as well as meeting our new walkers at the Canberra Walking Festival in April. See you then! As IML Vice-President, Pan Pacific region, Dolores will also be presenting the very first Cooperation Cup medals at our awards ceremony on Sunday. Walkers from Belgium, Germany, Luxembourg, the Netherlands, and the United States will receive the first Cooperation Cup awards here in Canberra. The Cooperation Cup was jointly established by the IML Walking Association (IML) and the International Federation of Popular Sports (Internationaler Volkssportverband or IVV) earlier this year to promote non-competitive walking. 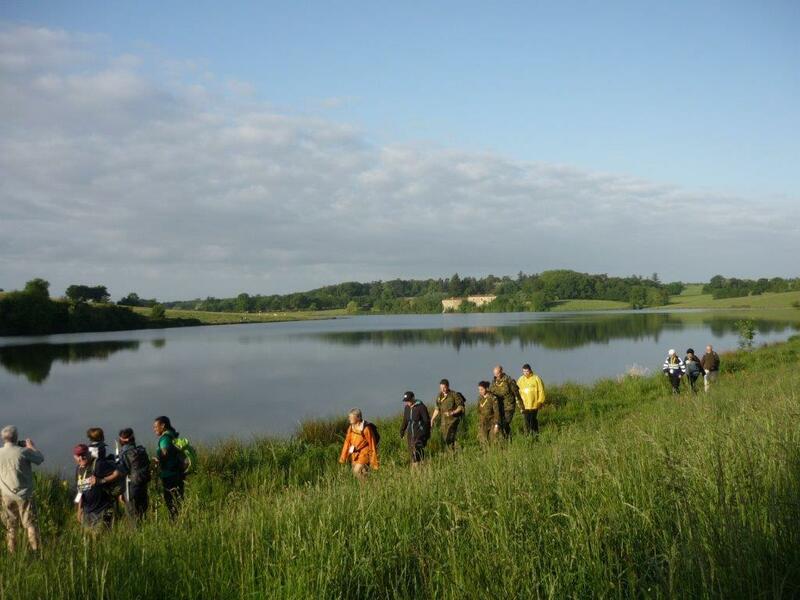 Both international organisations have the aim of encouraging active and worldwide walking. A member of the American Volkssport Association (AVA), Dolores also helps organise the IML Freedom Walk in Arlington, Virginia, and has walked in all 14 Freedom Walks held to date. Just like our walk, the Freedom Walk features the sights of a national capital — in this case Washington, D.C.
She has completed the AVA’s Centurion Achievement Challenge twice already and is working towards her third award patch. The Centurion program requires a walker to participate in 100 IVV events in a single calendar year. In her leisure time she likes to garden and read as well as do a little skiing. Dolores is also a grandmother of six and has encouraged her grandchildren to walk with her. “I enjoy time walking stateside AVA events with them. All but the youngest have their IVV walking books,” she says proudly. 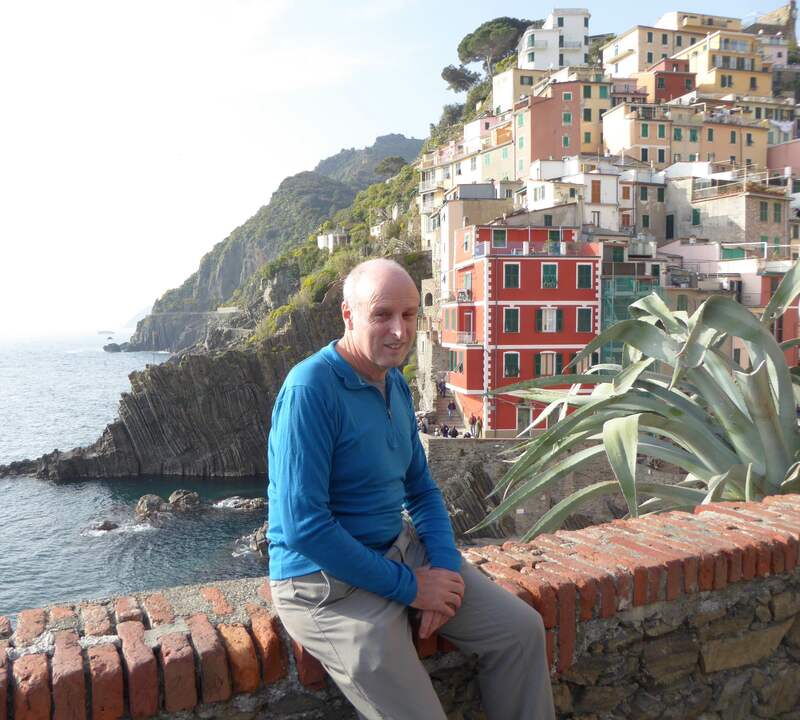 Lachlan enjoying the Cinque Terre, Italy. Past C2DW President Lachlan Wilkinson relates his involvement with our event. It was a sign behind the driver on a bus back in 1996 that started me on this journey. The sign was advertising something called the ‘Canberra Medal Walk’. As a keen walker newly-arrived in Canberra, I needed to find out more. I did, and entered the 30-kilometre walk in 1997. By this time, I had also joined the ACT Race Walking Club (now ACT Walkers) and learnt how to race walk. I thought I was in pretty good shape and this distance wouldn’t be problem, particularly as I was going to stroll over the event, rather than use the race walking technique. I struck up a conversation with a couple of walkers at the front of the group and we finished together, but those last 10 kilometres were hard! That night, in an experience familiar to many of our walkers, I lay in bed with aching muscles wondering how I could possibly do it again the next day. I made it, but did more distance training before the 1998 walk! I encouraged a few other race walkers to give it a go and a number became regular participants. To stay in the spirit of the event, none actually used the race walking technique but walkers such as Robin Whyte were still always among the first to finish. Around this time, Robin became a Centurion by walking 100 miles in 24 hours, inspiring several others in the ACT Walkers to also have a go at ultra-distance events. Shortly after, I walked part of the Two Day Walk with someone called Carol. I commented that she seemed to have an efficient style and good endurance and she should come along to some of the ACT Walkers events. I got a taste of what an understatement that was in August 1999, just after my 40th birthday, when Carol passed me in the last kilometre of our first 50-kilometre race walking event. (For the record, I finished in 5 hours 57 minutes — only two hours off an Olympic qualifying time.) Of course, Carol Baird then went on to complete the Centurion distance 10 or more times and set a number of Australian records! She marked the Two Day Walk course for many years. I was also giving ultra-distance walking a go, not quite with the success of Carol, but I did manage to walk 100 kilometres in just over 14 hours and complete several 12-hour events. In the last couple of years that the Gosford Coastal 12-hour Classic was held, we had a team of around 10 ACT walkers making the trek, several of whom — Robin, Carol, Val Chesterton, Doug Fitzgerald, Geoff Barker, Val Moran (apologies to anyone I missed) — were also Two Day walkers. We received the strangest looks when we all shuffled in slow motion into a club the night after the event for a meal. Lucky that wasn’t a two-day event! Harry Berg indicated that he intended to stand down after the 15th Two Day Walk. I was initially reluctant to put my hand up as I was already the secretary of ACT Walkers. However, by this time, I was convinced this fabulous event needed to keep going. I caved in only about an hour before the AGM when it was clear no one else was going to nominate! While there were plenty of challenges over the six years I served as President, I didn’t regret my decision to stand. I had a great committee, with the Bergs still actively involved. We introduced the marathon and streamlined the event by moving to a three-year cycle. In a master stroke, I encouraged Diana Marshall to join the committee, conveniently providing me with a successor! There were frustrations — foremost of those was the inability to grow our walker numbers. I have always thought that our event should be far more popular than it is. I look with some envy at events like the Seven Bridges in Sydney that attract many thousands of walkers. 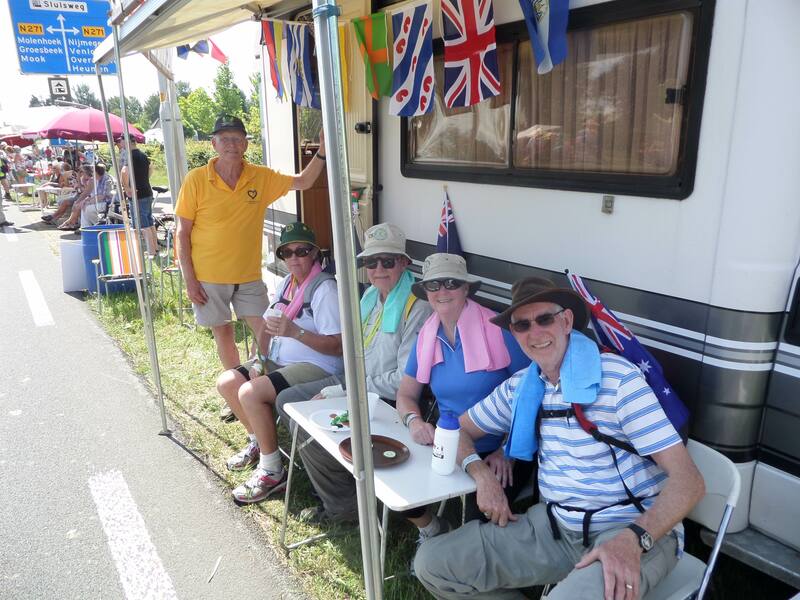 It is difficult with small volunteer-run events and walkers who take part in the now Canberra Walking Festival should appreciate the effort put in by committee members. My Canberra Two Day Walk Association obligations weren’t quite over as I spent several months mapping out an IVV walk to show some highlights of the city of Adelaide. I’m pretty happy with the route so come and give it a go if you haven’t already. Give me a call and I might be able to walk it with you. Anyway, I’ll be back this year for the 25th anniversary (and the 19th time I’ve taken part). An advantage of no longer being on the committee is that I can walk with everyone else. It’s been a few years since I last walked an ultra event, so I need to get in a bit of training over the next few weeks to be able to manage the marathon (Saturday) and 30km (Sunday) without excruciating pain. 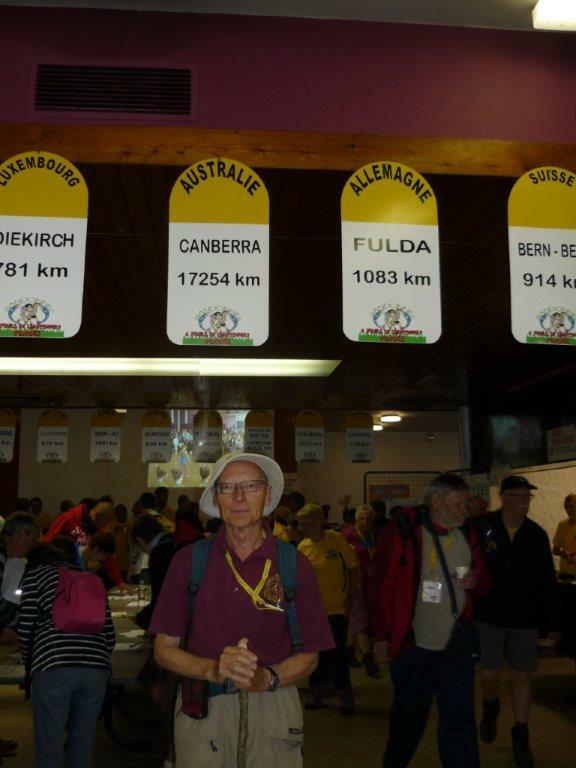 I still think it’s a fabulous event given the ability to see parts of Canberra others never experience and enjoy the company of walkers from around the world. I hope many more Canberrans soon realise what a great event they have on their doorstep. Bernd was the first person to register for our 25th walking event and will be joining us for the fourth time in 2016. How does he do it? “I am walking nearly 15 IML events each year, all over the world,” Bernd explains. He completed his 269th IML event in Barcelona, Spain, last November. Bernd participated in his first IML walk 28 years ago in Bern, Switzerland. “In 1992, I became a Master Walker in Japan,” he continues. “My award number was 156.” A Master Walker has completed walks in the eight founding IML member countries: Belgium, Luxembourg, Denmark, Ireland, the Netherlands, Austria, Japan and Switzerland. He travelled to Chengu, China, last September, to participate in the IVV Olympiad. This celebration of Volkssports is held every second year in the country of an IVV member. Olympiad events include walking, swimming, biking, and sometimes other non-competitive sports. Additional social and cultural activities encourage mutual understanding and friendships among those who attend. 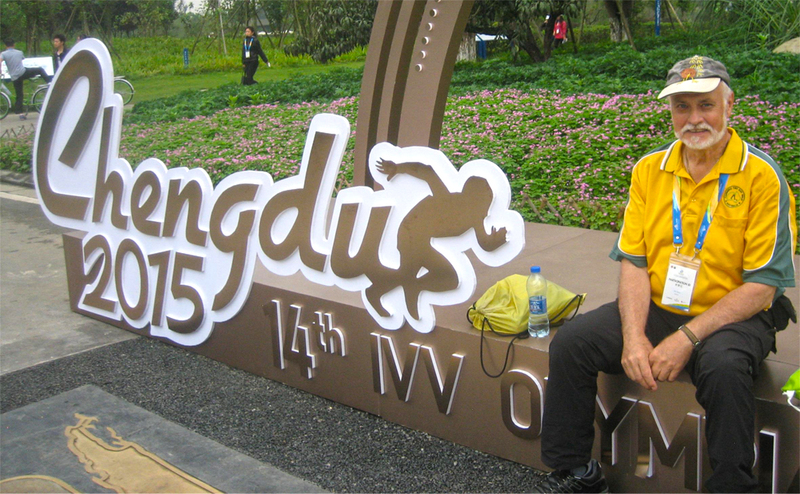 The Chengu gathering was the 14th IVV Olympiad. Although not an actual IML event, walkers who completed at least 20 kilometres per day were entitled to an IML stamp. Walkers could choose from 6km, 11km, 22km or a 42km marathon. Biking distances were 6km, 11km, or 22km. Swimming distances were 300 metres or 1000 metres. Bernd walked 22km four times, biked 22km twice and swam 300 metres. Amazingly, he has participated in all 14 Olympiads! After almost 40 years in CSIRO’s entomology section, Tom continued his work with insects by becoming the volunteer coordinator for CSIRO’s Australian National Insect Collection volunteer program. Tom has participated in every one of our 24 events, completing all our distance challenges! Canberra Two-Day walker and well-known racewalker Robin Whyte has been briefly profiled on the Locker Room sports page in Sunday’s [31 May] Canberra Times. The webpage is headed Locker Room: Belnorth grow up with Kanga Cup. Whyte steps up to mark at 73 is the fourth story down the page. The Lake Burley Griffin Walking Carnival will be held Sunday, 7 June. Six overseas walkers from the Czech Republic will be joining our walk this March. Most of the group are members of IVV and/or IML. Their visit to Canberra will come towards the end of their 19-day tour of Australia, after seeing the sights in and around Cairns, Alice Springs, and Sydney. 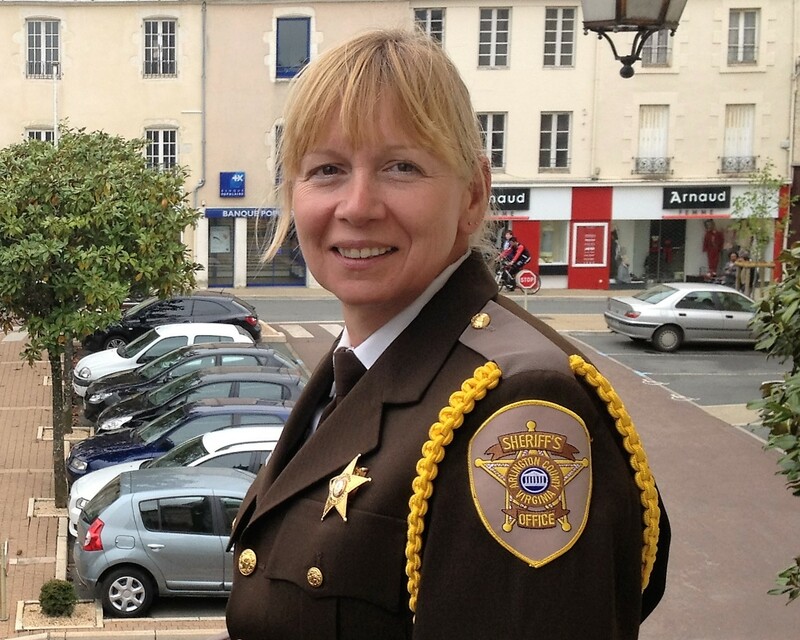 Two members of the group will receive IML awards at Sunday afternoon’s ceremony. Walk group leader Jiri Nasinec will be awarded the Pan Pacific walker clip for walking in eight different Pan Pacific countries. Maria Blahova has earned the Pan Pacific clip and also the Global Walker clip for walking 10 different walks in the European region as well as participating in eight different Pan Pacific events. Tourists travel to Novy Bor to visit the many small glass factories where they can watch artisans blow, paint, cut and engrave glass. The Luzice Mountain region is also popular with hikers and skiers.